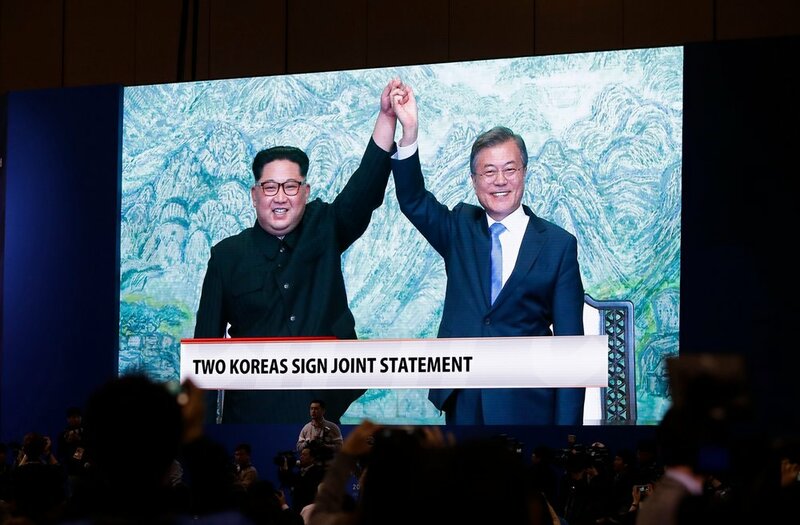 If there is a Nobel Prize in this, it might be given not only to Kim, and especially to Moon, for breaking the ice and taking the first small steps toward each other, but also to Kim’s sister, to the athletes on both sides at the Winter Olympics, and to the North Korean cheerleaders, whose positive presence and willingness to participate together in a global sporting competition demonstrated something essential that is often overlooked in nearly every conflict: how close and how far apart we actually are. 3. They are exactly one step apart, because either side can move unilaterally to end the hostility, intractability and impasse on their side, and invite the other side to do the same. 1. Are these not also descriptions the other side might reasonably make of us? How do we distinguish responsive conflict behavior from innate evil? 2. Are they not descriptions that each side commonly makes of the other side in nearly every conflict? Why? How do we discern their real purpose? 4. How might we change all the descriptions we use to portray our opponents in every conflict in more positive and affirming directions, without ever losing sight of the differences between us, but allow us to invite them into honest dialogue, creative problem solving, collaborative negotiation, mediation, and similar conflict resolution processes? 3. For these reasons, it is often both possible and necessary for third parties to act as mediators, searchers for common ground, promoters of empathy, designers of conversations, reframers of language, and facilitators of the creation of collaborative solutions. If the world can shift in the space of a few months from impending nuclear war and a willingness to slaughter millions of innocent civilians to conversations that include collaborative negotiation, dialogue and problem solving, so can everyone in every conflict. All it takes is a little openness, a little courage, and a little cheerleading. Consider how you might do so in your conflicts, as well as in Iran, Russia, and elsewhere.